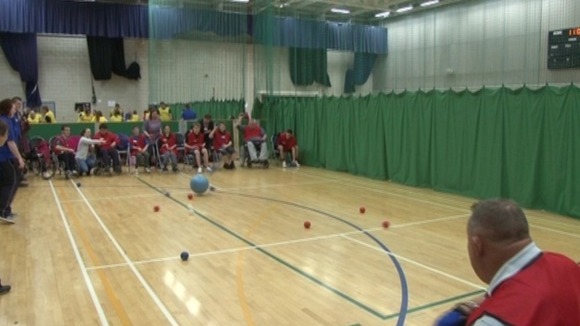 Around 140 people from across Dumfries and Galloway came together to take part in the region’s first disability sport talent identification day.The athletes were aged between 12 and 65 and were given the chance to try out different sports and find out what classes are taking place in their area. “I think today is all about is well is trying to raise the profile of disability sport showing the opportunities we have out there and the talent we have in the area, and then from there hopefully they can take part in international competitions as well. “It’s great for everybody to get involved at whatever level in their pathway and it’s about them all getting the chance to take part in different sports then we can signpost them into the appropriate level lots of potential today we’ve got a big list already.